Subscribe to our newsletter and get 50 credits. You can transform your credit into a discount coupon straight way; you can spend it on your next order! Save your credit and gain up to 1250 credit points: read further and find out which the thresholds are in order to get bonus credit. For every successful order you get credit. The credit is calculated according to the purchased items. You get two credits for each €uro you spend (shipping costs excluded). When your order will be concluded, we will send you an e-mail with the total available credit. Save your credit and when you think that the time has come to use it, you just need to convert it into a discount coupon! Send us an e-mail and we will send you a coupon to be used for your next purchase! Credits expire after 12 months, after this time period a conversion into a coupon is not possible. Save 600 credits and you will get extra 100 credits (with 700 credits you can get a coupon with a value of € 7,00). Save 1000 credits and you will get extra 150 credits (with 1150 credits you can get a coupon with a value of € 11,50). Save 1500 credits and you will get extra 200 credits (with 1700 credits you can get a coupon with a value of € 17,00). Save 2000 credits and you will get extra 300 credits (with 2300 credits you can get a coupon with a value of € 23,00). Save 3000 credits and you will get extra 500 credits (with 3500 credits you can get a coupon with a value of € 35,00). The accumulated credits expire after one year, after the expiry date it is not possible to convert them into a coupon. You can use your Coupon in whatever moment and it has no expiry date! For your next purchase, use the Coupon Code that we sent you via e-mail. With your coupon you are free to choose the products that you prefer: your favorite wine, our wooden cases or a present that you want to give to someone dear to you. If the money on your coupon is enough, you can use it to pay entire orders. How many credits do I earn for each purchase? – the amounts paid with coupons and discounts. Value of the order net of accreditation: 11,9 €. Accumulated credit 24. Can I get credits also in another way? Yes, you earn 50 credits if you subscribe to our Newsletter. How can I use the credits I saved? The credits can be converted into a coupon. When you think that the time has come to convert your credits into a coupon, send us a brief message and we will send the coupon to you. Once you converted your credits into a coupon, you can enter the code you received, to pay for your order online. When do the credits expire? The credits expire 12 months after they have been issued. The coupon does not expire, you can use it whenever you want. Can I use my coupon as I prefer or do I have to choose from a list? Do all articles generate credit? Yes, all articles on our e-commerce generate credits. Excluded are shipping costs. 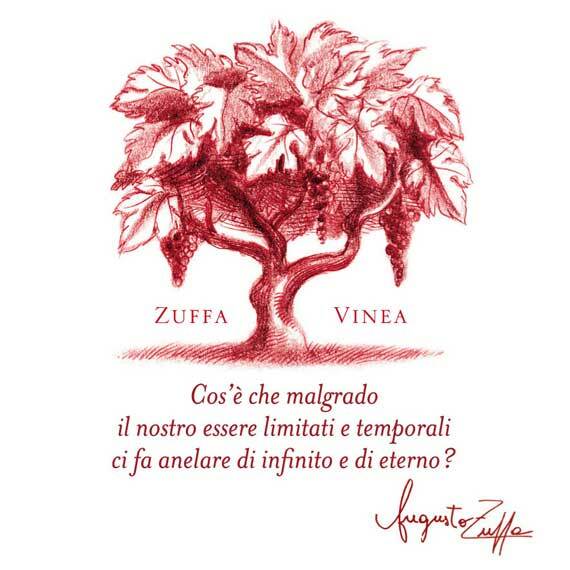 Cantine Zuffa preserves the right to change the guidelines above whenever it is necessary. Any improper behaviour in the accumulation of credits is not allowed. A violation of the guidelines, will lead to the cancellation of the credits, without the possibility to convert them into a coupon.